Appreciation: 8/10 overall. 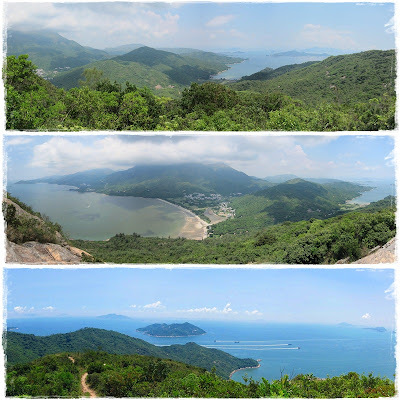 Section 1 is pure waste of time but about 1 hour in (4km) and into Section 2, great vistas are well worth the climb. Transportation: Ferry to Mui Wo from Central pier. Return via 11, 23, 3M right at the end of section 2 to either Tung Chung where you can take the MTR, or Mui Wo where you can ferry back. Head right upon disambarking the Mui Wo ferry. Start climbing along the road by the roundabout. You will see this sign. Follow it for until you reach the Section 2 trail head. Section 2 trail head. There's a drink vending machine and toilet in case you forgot. Appreciation: 7/10 for the historical background on the site. Note much hiking, views are mostly at The Peak. Hong Kong birds of prey flying around from time to time are nice to watch. Transportation: From Exchange Square bus terminal in Central, take bus #15 to The Peak. At the end of the trail, there quite a few minibuses/buses which will take you wherever you want to go. Once you arrive at The Peak, You take Harlech road, which will be on your left if you face the Peak building with tram tracks on your right. Harlech road is the first part of the Peak loop trail. On the Peak loop trail, quite peaceful. You'll see a sign for the Lung Fu Shan Contry Park on your left. Just a few steps and you'll be at the Pinewood battery. There are quite a few information placards so no need to give you the history of the battery here, it's well documented on site, and online. Imagine with the big gun. Once you are done, keep on Hatton road towards the University. There are various paths to get to bus stops. Follow my Garmin map to step in our tracks, or you can also exit earlier. Appreciation/欣賞: 8.5/10 for the first kilometer, the rest is not all that interesting. Transportation/交通: MTR to Shau Kei Wan, Exit A3. 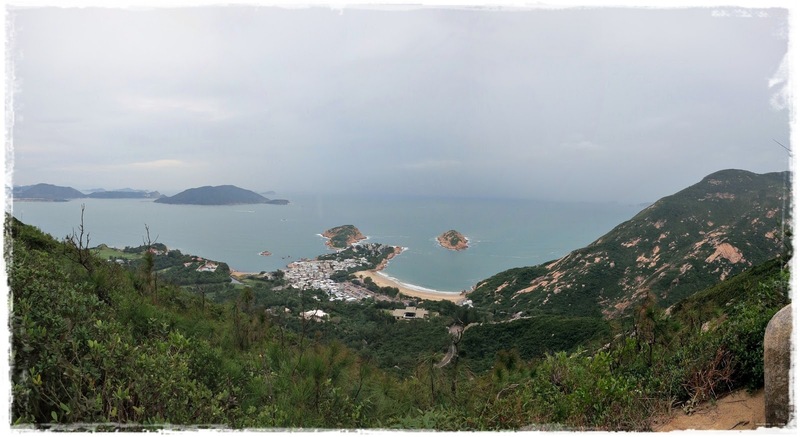 Take NWFB bus #9 towards Shek-O, stop at To Tei Wan on Shek O Road. 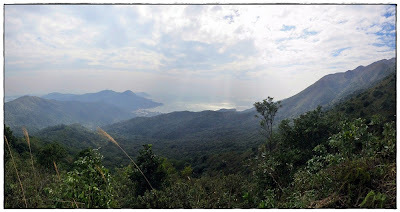 Return via same NWFB bus #9 in Shek-O which will bring you back to Shau Kei Wan. MTR Shau Kei Wan, Exit A3. The bus terminus is right by the exit. 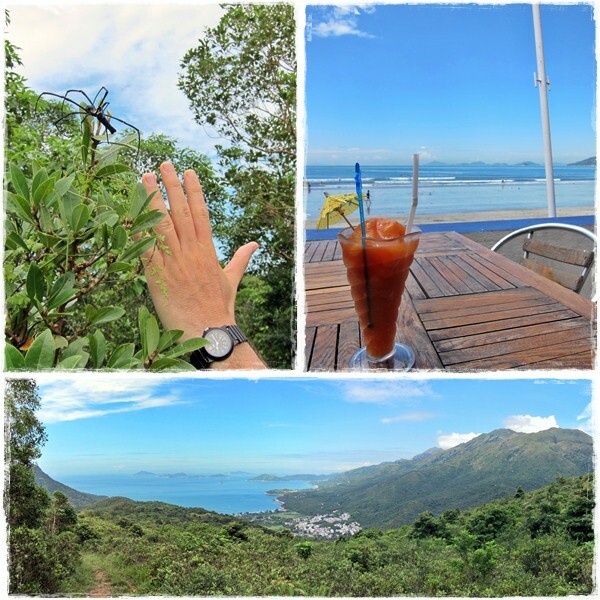 Stop at To Tei Wan on Shek O Road. The start of Hong Kong trail Section 8 is right by the bus stop. From that point, there's really no way to get lost; the path is well signed at every turn (follow the little hikers pictograms). After about 2 hours, you'll arrive at Tai Long Wan beach. You can walk towards Shek-O or take the red minibus that will get you there. From Shek-O, bus #9 will take you back to Shau Kei Wan. Appreciation: 5/10. There are much nicer trails to be hiked. Lots of gigantic spiders if you're into arachnids. One great view of Pui-O but that's it, the rest is pretty boring. 4/10. A little bit of uphill but nothing to scare a monkey. Cel phone coverage: Some coverage on trail. Transportation: We did it in reverse. Ferry from Central Pier 6 to Mui Wo. 35 to 50 minutes depending on whether you take the fast or slow ferry. 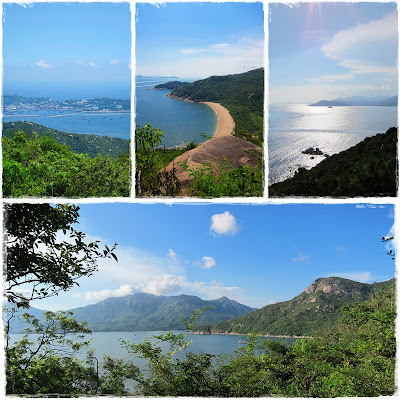 At the end of the trail, you can bus back to Mui Wo. NLB 1 or 4. Head left right out of the ferry, walk by the McDonalds, following the shore. First road on the left. On that road, there's will be signage for the trail, although they are easy to miss. After a little while. This was a little bit confusing but head left, don't stay on the road.